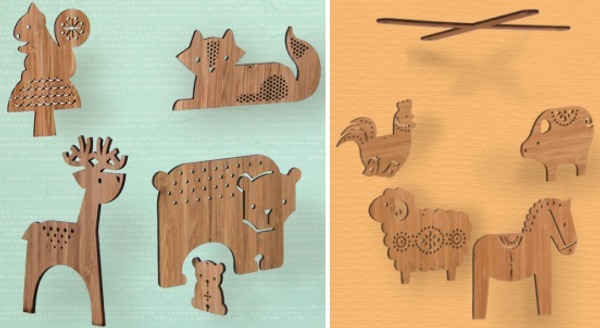 Two gorgeous new designs join the ever-increasing line-up of beautiful bamboo plywood mobiles from Petit Collage. Building further on the animals theme, Forest Friends and Folk Farm give you even more to choose from! Others in the range include Owl, Bird Trio, Jungle Friends and Tree Friends. Petit Collage is a regular fave on Babyology – see our past editorial. The two new designs are available for pre-order now to be shipped later in March and early April – all mobiles are $120 from Kindergallery.